I'm joining Kate Motaung and many other writers for Five Minute Friday. Each week, there's a prompt and then we write for five minutes. Like a flash mob of writers. 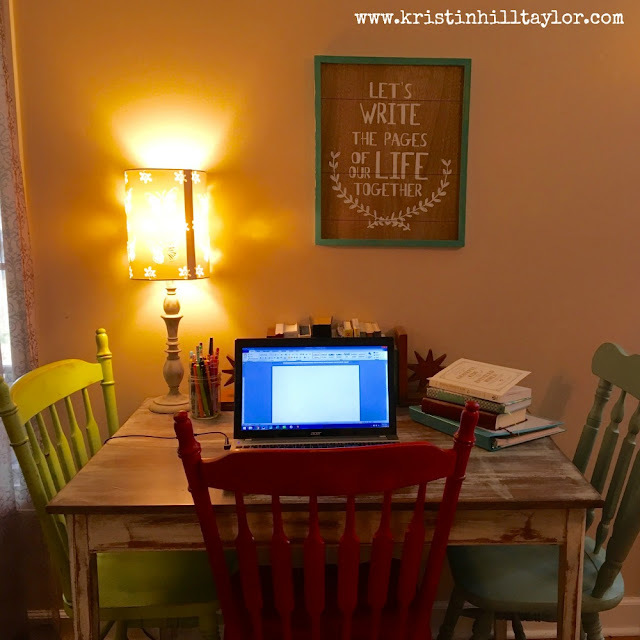 Later today I’m going to share with some homeschool students what it’s like to be a writer. My friend who organized the career fair invited me as an author/writer. As I was jotting down notes yesterday about what I would share, I remembered how being a writer is a broad term. I’m going to share all the many ways one could be a writer – non-fiction author, fiction author, blogger, newspaper reporter, poet, screenwriter, songwriter, technical writer, speech writer. And I’m going to share why when I was editor of my high school newspaper, I decided I really did want to be a writer. I spent four years in college working toward my print journalism degree. I had jobs where I was paid to write. Maybe that’s simplifying it all. Being a writer runs deep because it’s part of who God created me to be. Being a writer looks different with each season. But being a writer is a calling. So that’s what I’m going to share with these students who are learning about subject-verb agreement and how to write persuasive essays. I’m going to share with them that words matter because stories are the essence of life. Five Minute Friday is open to anyone. Come join us at Kate Motaung's place. "Peace in the Process: How Adoption Built My Faith & My Family" is available on Amazon. Like me on Facebook, follow me on Twitter, peek into my life on Instagram, or follow 152 Insights at Bloglovin'.